We’re a little more than one month into Project WA. I’m pretty sure I’ve learned more about Washington State history in the past four weeks than I learned in the previous four decades. My fellow students, Anna, Ava, Mallory, Shayna and Sonnette; and our teacher, Mr. Rovente, have uncovered some pretty interesting stories along the way – from George Vancouver’s long-lost anchor to life and death of Kurt Cobain. A big challenge for any student of history is finding a deeper meaning behind people, places and events. To avoid simply generating random trivia, Mr. Rovente and I constantly challenge the kids to ask themselves: Why is this significant? As we told the group on the first day of class, people don’t buy what you do, they buy why you do it. To that end, ProjectWA is more a search of Why than it is the search for Who, What, Where and When. I think our students are beginning to appreciate that they’ll learn a lot more than Northwest History in this class. To start the semester, we simply required them to turn in short reports for each region of Washington State. 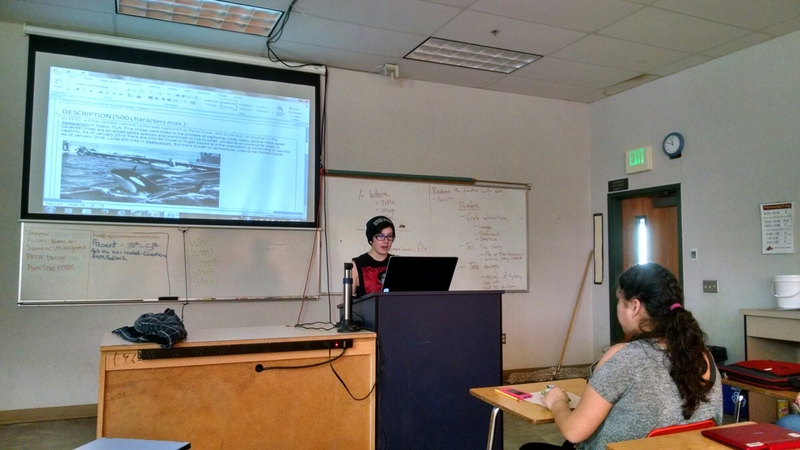 Last week, much to the students’ chagrin, we added weekly presentations to that. Now they’re learning the art of storytelling and public speaking. 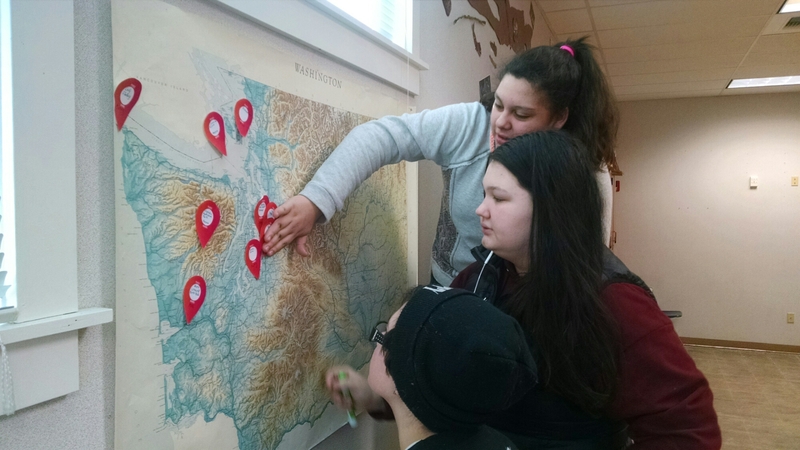 To give the kids a sense of accomplishment along the way, we’re having them place pins on the big Washington State map every time they finish a region. So far, we’ve covered The Islands, Peninsula and Coast, and Seattle regions. The upper left quadrant of the map is looking pretty good. Next up: The North Cascades.